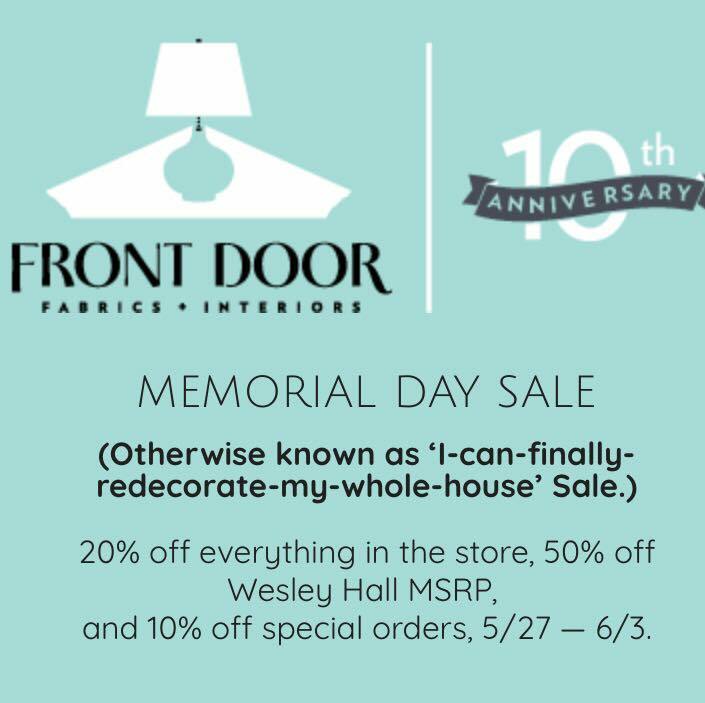 Front Door Fabrics and Interiors – Last Day of our Sale! Today is the last day of our Memorial week sale and your last chance to save 20% off of in stock merchandise (fabrics, lamps, trims, pillow inserts, lining, ready made designer accent pillows, accessories, and more), 10% off of all special orders, an additional 20% off all clearance items and remnants, and 50% of suggested MSRP for custom Wesley Hall orders! Don’t miss out we only have two big sales a year and this is one of them!